If you have ever tried to draw or paint something and make it look like it is “real”, you’ve no doubt attempted to use “values” (whether you realized it or not). The term “value”, when used in art, is used to describe the difference in lightness or darkness of a color. Artists use light and dark values to create dimension or a focal point within a painting or drawing. + GUIDE THE VIEWER’S FOCUS The human eye is immediately drawn to a light element against a dark element. So, by understanding and using values strategically, you can guide the viewer’s eye to a chosen focal point within your composition. 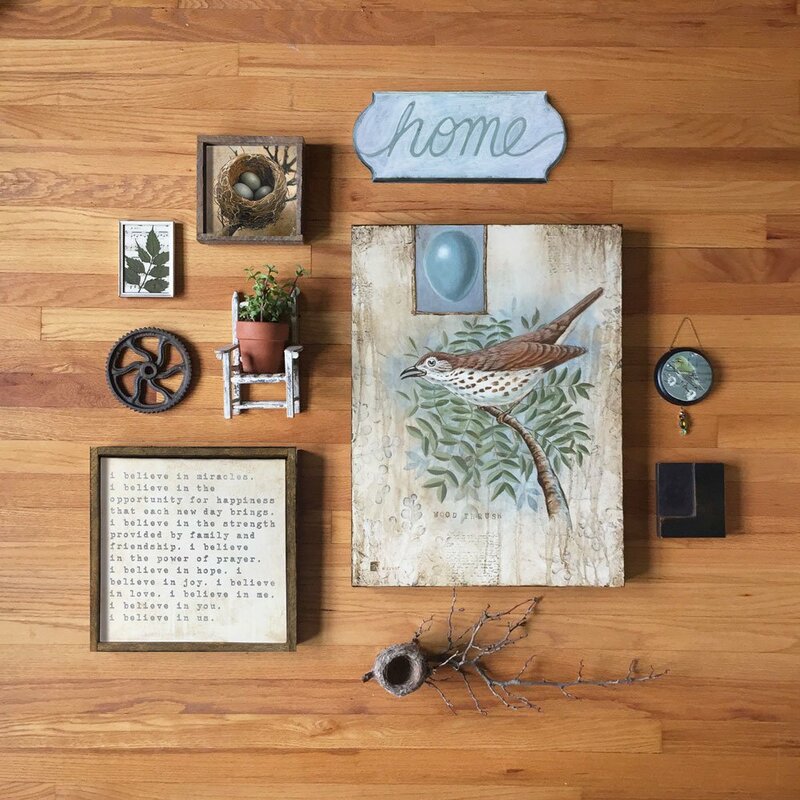 + GIVE YOUR ARTWORK A 3 DIMENSIONAL APPEARANCE Values are also used to create the illusion of depth and volume, which gives the objects in your artwork the illusion of having dimension. Artists use lights and darks, or “values” to create the illusion of light and shadow in their work. Highlights appear where light hits an object. The area that turns away from the light source is the shadow area. By recreating these lights and darks with pencil, pen, or paint, an artist mimics what happens in real life and fools the eye into thinking that there are three dimensions to what he has painted, which is actually only two dimensional (on a flat surface). Artwork that shows full ranges of value are typically successful. A “full range of value” means that there are a variety of light values and dark values in the piece. To be sure that you have a full range of value in your artwork, it’s extremely helpful to create a value scale and compare it to your work. And BONUS! I’ve created a worksheet that you can download and use to practice on right here. Once you create your value scale, you can use it to compare the values of your drawing or painting to make sure that you have a range of values displayed in each piece you create. I’ve included simple instructions on how to use your worksheets. I hope you have found this helpful! 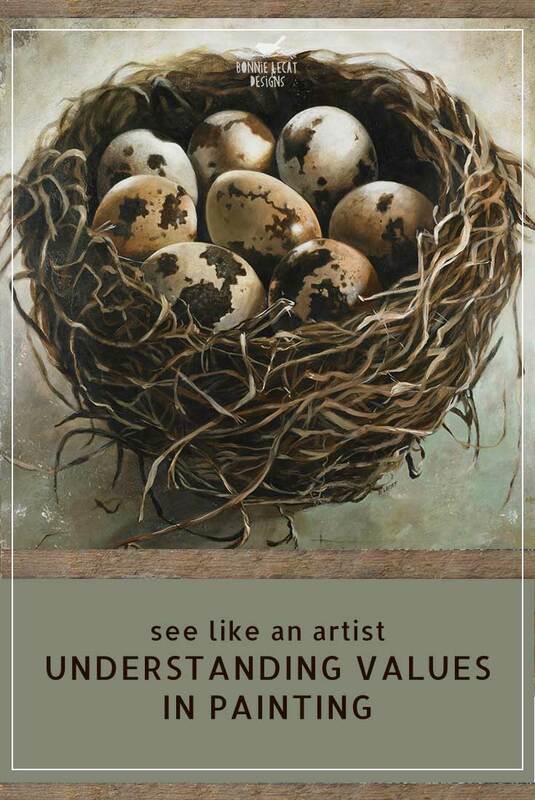 Understanding values allow you to see like an artist, which will, in turn, make your drawings and paintings much more successful, relaxing, and fun to create. 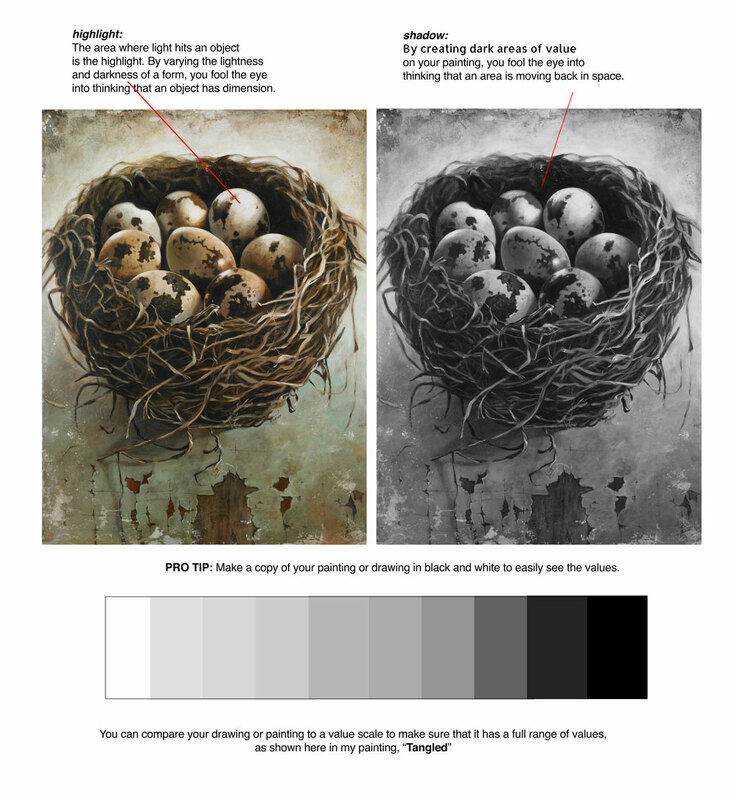 So, go ahead and print out your values worksheet and start improving your painting and drawing skills today. Bonnie, this was very well written. I enjoyed your article.